Yes, Paso Cabs are becoming “toe to toe” with Napa. We may not yet have the number of wines, n or the price points, but certainly our best Cabernets can stand proudly next to Napa Cabernet Sauvignons in blind tastings. And they are judged to be in equivalent ranges of quality. Single vineyard, terroir driven, hillside Cabernets from Paso are identified in blind tastings as being hillside Cabernets from Napa! 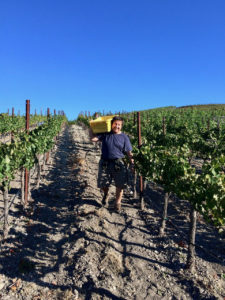 (e.g., 2012 The Farm Winery LPF in Judgment of Paso 2016; 2012 The Farm Winery Cardinal, as judged by Fred Dame 2017.) Other Cabernets, blended from different sources, compare honorably to their equivalents from further North. Paso Robles Cabernet Sauvignon has come of age.